Israel Survival Updates — 22 February 2011. 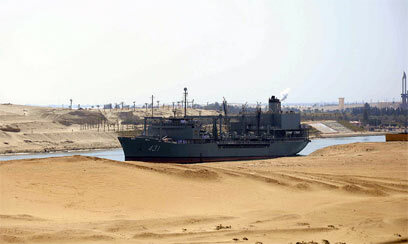 Iranian Vessels Enter Suez Canal. 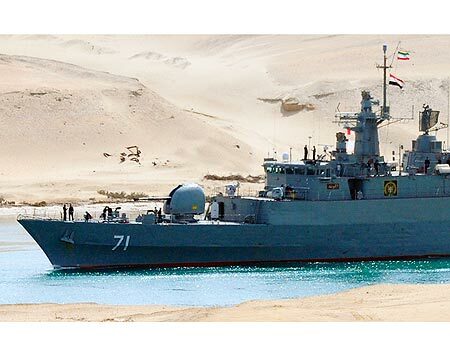 Two Iranian warships have entered the Suez Canal on their way to the Mediterranean Sea, Canal officials said Tuesday. “They entered the canal at 0545 (0345 GMT),” the officials told reporters. Iran claimed that the warships were headed to Syria “for training.” Israel’s Foreign Minister Avigdor Lieberman and others called the move a “provocation”. Iran can claim whatever they want and train wherever they will. But if either one or both of those ships cross into Israeli waters by as little as one millimeter certified by GPS, I’m betting nothing larger than plankton-sized pieces will remain. ……and if ‘something’ is sent towards Israel without any provocation ? Naaaaaaaah, I won’t go there. Egypt’s Stock Exchange remains closed. Cairo (AP) – Egypt’s stock exchange says it has postponed the resumption of trading on the market until next week. The Egyptian Exchange said in an e-mailed statement Tuesday the decision was taken after consultations with the Egyptian Financial Services Supervisory Authority and brokerage houses. It did not specify a date for the relaunch. The exchange has been shuttered since Jan. 27, after its benchmark index shed almost 17 percent in two consecutive trading sessions as massive anti-regime protests gripped the country. Wait…… I thought everything was fixed and good to go in Egypt. Why doesn’t the exchange open ? I guess they need more hope for change from The MB, eh ? The Israeli Defense Ministry’s Research Authority and the United States’ Missile Defense Agency conducted a successful joint test of the Arrow anti-missile system Monday night off of the US’s west coast. This was the 18th test of an interceptor from the Arrow “family” of anti-missile missiles. 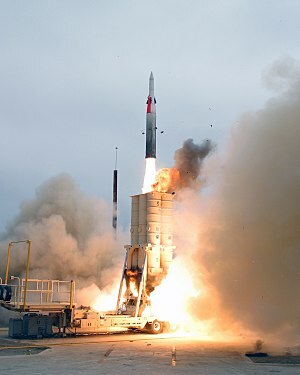 The Arrow was launched from an American test site on the West Coast, and the target – which simulates a threat that Israel may have to face in battle – was launched toward the shore from a platform in the heart of the Pacific Ocean. The cynic in me says that at least one person in our administration classified this test as ‘an Israeli missile launch against America’. 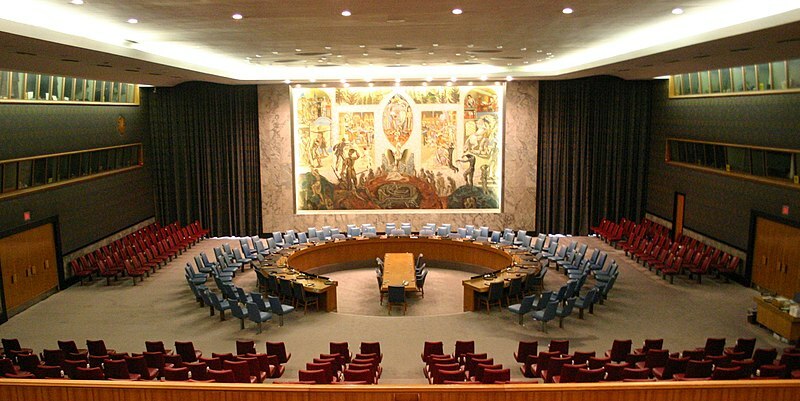 The UN Security Council (Re. Libya). The United Nations Security Council on Tuesday was expected to hold a consultation on the ongoing violence in Libya. The meeting in New York, which will take place at 9 a.m. US East Coast time, was convened at the urging of diplomats at the Libyan UN mission who took a stand against their government. Really ? Is that a fact ? You don’t say ? Whatcha gonna do Ban Ki, stamp your little feet and hold your breath until they see the errors of their ways ? What about Iran’s treatment of their own civilians since 1979……… The daily peace-loving exhibitions against Israel……… How about the Dar…… Oh right…… The agenda…… How silly of me. Are you freakin’ kiddin’ me ? Iran Condemns Libyan Government Violence. The spokesman for the Iranian Foreign Ministry condemned, on Tuesday, Libyan government violence against anti-government demonstrators, especially air attacks that the Libyan government has denied. Iran called the violence unacceptable. Um…… How can I put this…… Got it…… Tain’t ’nuff black floatin’ around the universe for that kettle of Hell to call out the p-pot. I know what it is: Jealousy. Iran is envious that Libya is taking away some of the spotlight. Additional items as warranted will be added in the commentary section below, along with possible top-of-the-diary headlines. Additional news items from after the above was posted. All entered on 22 February 2011. UK — Peace Lovers Celebrate Peace With Infidel School Teacher. East London – The Daily Mail. Four men slashed teacher’s face and left him with fractured skull ‘for teaching other religions to Muslim girls’. Akmol Hussein, 26, Sheikh Rashid, 27, Azad Hussain, 25, and Simon Alam, 19, attacked Gary Smith with a knife, an iron rod and a block of cement. A fifth defendant, Badruzzuha Uddin, 23, admitted assisting the thugs by hiding blood-stained clothing. Detectives made secret recordings of the gang’s plot to attack Mr Smith prior to the brutal assault. The covert audio probe captured the gang condemning Mr Smith for ‘teaching other religions to our sisters’, the court heard. 1. They shouldn’t face a jail sentence, they should face a firing squad. 2. They admitted doing it as if they were proud of the deed – and most assuredly are. 3. Police knew about this, that it was going to happen and did NOTHING to stop it, even as it went down. They’re accessories to the crime. 4. The media world-wide will not identify the problem at hand due to their agenda at hand and also their not wanting to be considered hate-mongering profiling Islamophobes. 5. Anyone thinks this can’t happen here in America is insane. Libya — Bodies all over and ambulances taking fire. Scores of bodies reported on streets of Libyan capital. The bodies of scores of protesters shot dead by security forces loyal to longtime leader Muammar Gaddafi littered the streets of a restive district in the Libyan capital on Tuesday, according to a Libyan opposition activist and a Tripoli resident. Tripoli’s inhabitants hunkered down in their homes after the killings and warnings by forces loyal to Gaddafi that anyone on the streets would be shot, Mohammed Ali of the Libyan Salvation Front and the local resident said. Ali, reached in Dubai, and the Tripoli resident said forces loyal to Gaddafi shot at ambulances and some protesters were left bleeding to death. It’s really amazing how much peace loving goes into maintaining the peace. They’re dead — All four — The “pirates” executed them. U.S. Navy warship shadowing seized vessel takes action after gunshots are heard; 4 hostages apparently killed by captors, some pirates dead. Hijacked last Friday off Oman, the Quest was being piloted toward the Somali coast – and was being shadowed by a U.S. Navy warship. Toned down and civil commentary from me is not possible on this. Not now and maybe not ever. Break – Two hours later. I want to hit something – hard. It’s been well over two hours and I still don’t trust myself to comment. Did you know that Italy’s Stock Exchange never opened today ? Anger as Milan bourse fails to open. Borsa Italiana, the Italian exchange, failed to open as usual on Tuesday amid concerns in the Italian broking community about possible fallout from turmoil in Libya. The outage, which left brokers unable to process orders, came a day after the main Italian stock market index closed down 3.6 per cent, making it the worst performing European market on Monday. The Gaddafi family, either independently or through the Libyan investment fund, owns 7 per cent of UniCredit, Italy’s largest bank, 2 per cent each of defence company Finmeccanica and carmaker Fiat, and 7.5 per cent of Juventus, the football club. Italy also purchases a nice-size percentage of their oil and natural gas from Libya. * The Financial Times requires registration and/or an account to access articles. Demand made to UN that Libya be removed from The Human Rights Council. What the hell are they doing on the panel in the first place ? Libya remains on the United Nations Human Rights Council as it continues to pay mercenaries and use tanks, planes and helicopters to massacre hundreds of protesters. The American government has ordered all non-emergency personnel to leave Libya. The United States and many other countries have vested interests in Libya, whose oil reserves play a significant factor on world markers. The price of oil on world markets has soared more than 10 percent the past three days, sparking concerns of a new round of inflation and that could destroy the worldwide economic recovery. The presence of thousands of foreign workers in the country has prompted efforts from various countries to protect their citizens. One unconfirmed report said that approximately 300 foreign construction workers, including 100 from Bangladesh, are being held hostage. It was not clear if their captors were government or opposition forces. Hundreds of Chinese workers fled an armed attack, Turkey is sending three ships to evacuate 3,000 of its citizens, and Egypt said thousands of its nationals are trying to leave the country. More than 1.5 million Egyptians are estimated to be in Libya, and the Egyptian army is patrolling the Libyan border, which has been abandoned by Libyan forces. There’s so much peace loving on the UNHRC, it’s a wonder Israel hasn’t been peaced to death from all the lovin’. Bahrain, Djibouti, Jordan, Libya, Malaysia, Pakistan, Qatar and Saudi Arabia are all on the Human Rights Council. So are China, Mexico and Russia. ‘Bout time to do some defundin’ and legal fumigatin’. Gaddafi: ‘I Will Die as a Martyr’ — Obama Remains Silent. Article at Israel National News. Muammar Gaddafi told his country Tuesday evening he is a “warrior” and that he “will die as a martyr.” World leaders denounce him, but U.S. President Barack Obama has remained relatively silent. In an angry and rambling speech, the eccentric Libyan ruler declared, “I cannot leave the honorable soul of my country. I will die a martyr in the end.” Unknowingly reflecting the widely-held opinion that Gaddafi is eccentric if not berserk, he added, “Muammar Gaddafi is not a president, he is not a normal human being” but instead is a revolutionary leader. World leaders, including United Nations Secretary General Ban Ki-moon, have urgently demanded that Gaddafi halt the massacre of hundreds of protesters, but U.S. President Barack Obama has remained relatively silent. I think the next stage of the administration’s official stance will be to stamp their little feet and pout on camera. They made it — Iranian warships are in The Med. Canal officials said the ships – a frigate and a supply vessel – had reached the Mediterranean Sea by about 4 pm local time. Iran’s request to send the warships through the Suez Canal came at a particularly difficult time for Egypt as the nation’s new military rulers try to focus on pressing domestic issues, including restoring security after the uprising that ousted longtime leader Hosni Mubarak. The military rulers apparently had no choice but to grant the ships passage because an international convention regulating shipping says the canal must be open “to every vessel of commerce or of war.” Egypt also cannot search naval ships passing through the waterway. This entry was posted on Wednesday, February 23rd, 2011 at 23:30 and is filed under Pre-I.S.U. Columns. You can follow any responses to this entry through the RSS 2.0 feed. You can leave a response, or trackback from your own site. 2 Responses to Israel Survival Updates — 22 February 2011. Well, I guess not only are vacations to Egypt out, but with Iranian warships in the Med so are Spain, Italy, Greece, Yugoslavia, France. And hey. Can those missiles hit Germany, Switzerland and England? Missiles ? Those missiles don’t “hit” anything L.I.O. They simply open up and spread peace wherever targeted. I still say this is the tip of the iceberg and our Moose Limb Sisterhood friends are crazy enough to move to try and close off The Med, The Red Sea, The Gulf Of Aden, The Gulf Of Oman and whatever else their death wish encompasses in their region. I ran that out in one of the more recent I.S.U. entries on 16 February. As much as I want to post the archives in date order, it may be a good idea to pop up the ‘geographic’ day next. It’s a really long LONG entry, so I’ll probably break it up into several parts, making it all easier to deal with.